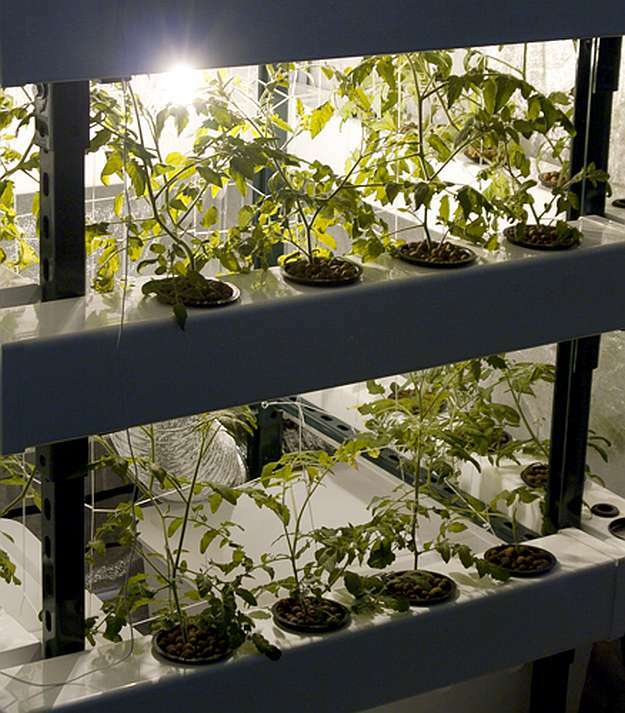 Hydroponic systems are your perfect solution for small space gardens. Growing plants and crops can be daunting in small spaces or dry and poor soil. 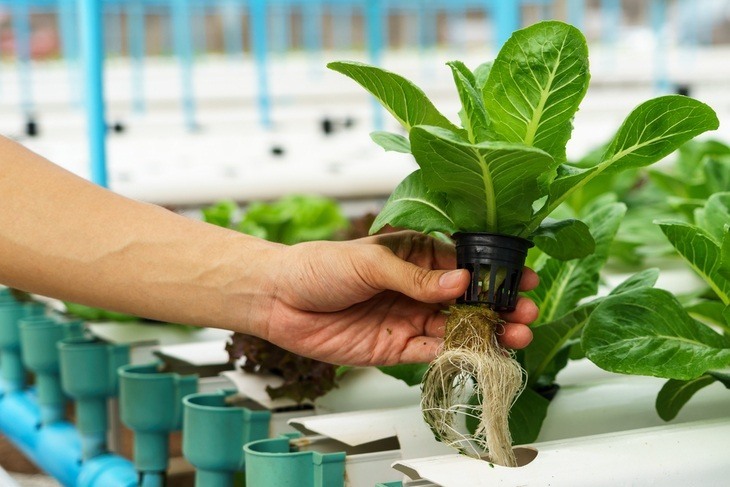 Here are some different types of hydroponic systems which work even in a limited space. Gardening in small spaces and inferior soil is possible with hydroponic systems! Hydroponic Systems And Indoor Gardening Ideas You Can DIY! 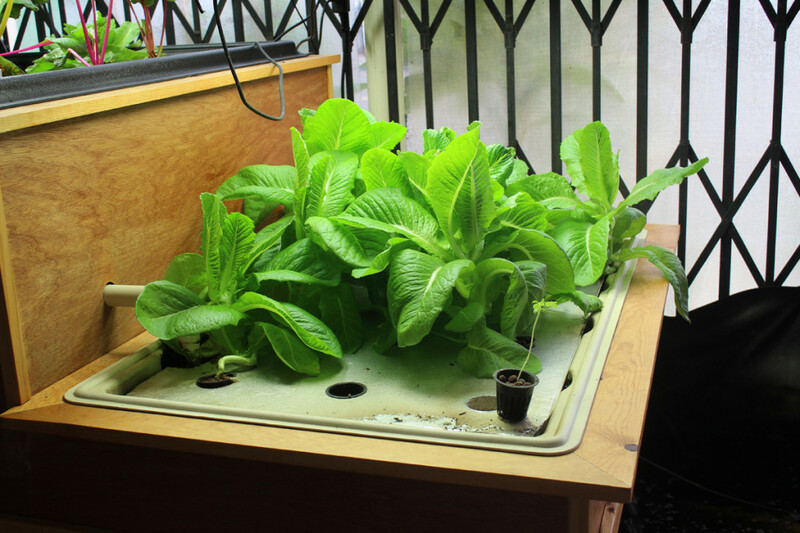 Follow these steps to assemble a homemade hydroponics system. Next thing you know, you’re well on your way to growing plants without soil. 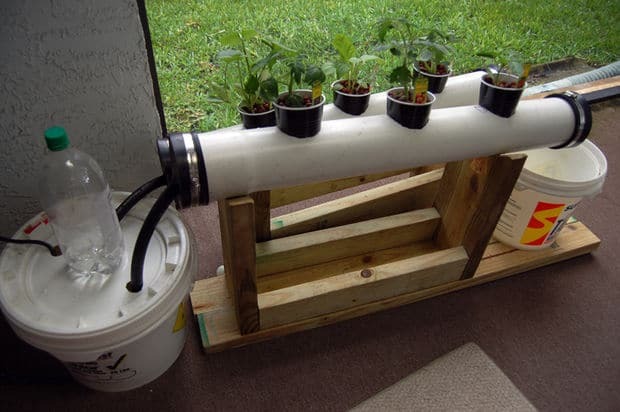 Using PVC pipes is convenient for a hydroponic system. You can work it into horizontal, vertical and zigzag designs. An A-Frame hydroponic system will require you enough space for setting up. For beginners, you can better understand how the system works with this design. 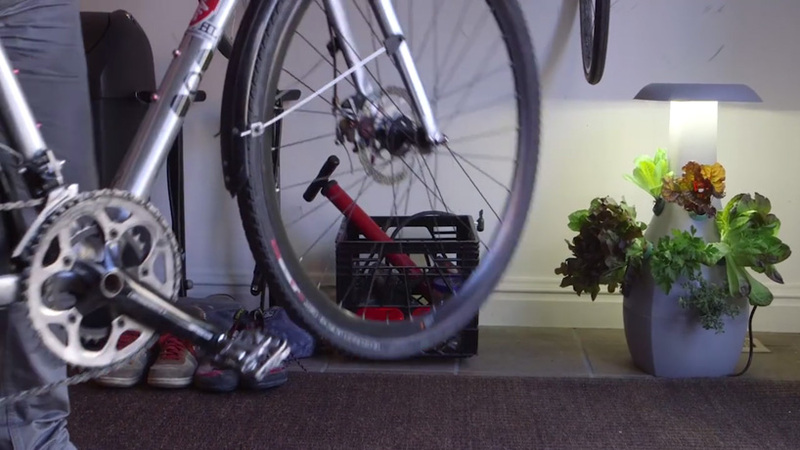 This water bottle garden system lets you grow plants and crops in small spaces. You also get to recycle plastic bottles. Talk about hitting two birds with one stone! There is a myriad of ways and means to grow plants in empty plastic bottles. This vertical hydroponic design is only one. This starter kit is your rite of passage tool to hydroponic gardening. It’s easy to assemble and once you get how the system works. You can graduate to an advanced system where you can grow more! This EzGro hydroponic system is somewhat over a homesteader’s budget. But hey, you can’t put a price on fresh and organic fruits and veggies all-year-round! Hydroponic systems are somewhat complicated. That is if it’s your first introduction. Check out these diagrams and find out how simple it works. You can use rainwater for hydroponics which is better. You can also use gutters to make a hydroponic system possible in your garden. For a beginner, experiment to see how the system works. This Dutch bucket system is a great way to get you started. Start from growing tomatoes. Soon you’ll find yourself growing varieties of veggies and fresh herbs. For your indoor plants and flower arrangements, the crystal soil couldn’t be any perfect. It’s hydroponics system with a magical twist. You should give it a try! 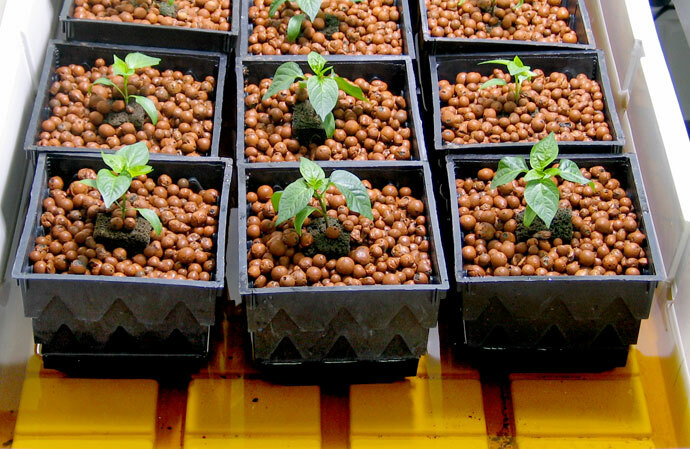 A small container and a couple of pipes are all you’ll need to build a DIY hydroponics system. Follow the instructions to the letter and you can build more next time with your eyes closed. Build yourself a whole ecosystem with a fish tank hydroponics. You’ll see the give-and-take relationship in action. In this mini aquaponics, the fish takes nourishment from the plants and vice-versa. Take this easy hydroponic piping idea. Don’t take this simple idea for granted. You can grow some decent crops in them like basil and lettuce. When we think of indoor gardening, we think of clutter. 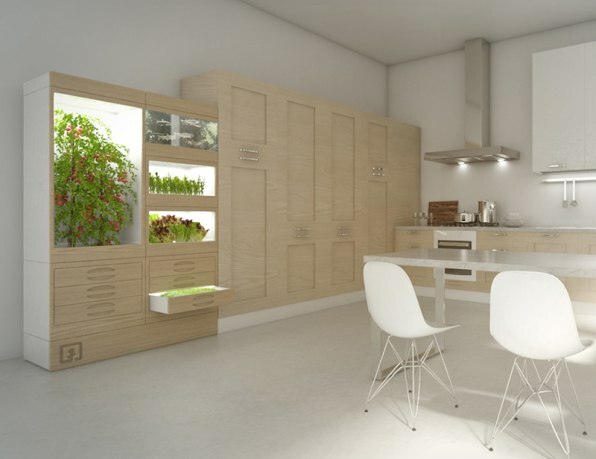 Well, not this hydroponic in a cupboard idea with indoor grow lights! Make use of every bit of your small garden prime real estate. Growing fruits and veggies in vertical tubes look a bit intimidating. Well, it’s not and you’ll love the clean look of it in your landscape. If you love to grow things but doesn’t have the space for it in the big city, you can invest in this vertical hydroponics. A bit of life and green in the big city are truly worth the cost. If you’re particular about neatness when growing plants, hydroponics is for you. You can find how you can grow plants without the messy soil especially indoors, here. Put empty cola bottles to good use by growing a vertical hydroponics garden in your apartment. The idea is to put them in a vertical position on top of the other for convenient watering. Plants defying gravity at home? Why not? 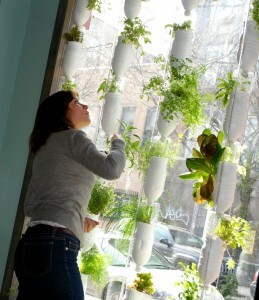 We see this phenomenon in nature and you can recreate a wall-mounted garden at home with hydroponics. Gardening is kind of old school and unpopular with today’s generation. Not anymore, with a smartphone-controlled hydroponic system. Growing plants is now only an app away! Minimalistic lifestyle is at the core of hydroponics gardening. This smart hydroponic system presented by Ohneka Farms is a lamp and garden in one. The future of agriculture is right in this powerhouse bucket hydroponics. It’s not much, but wait till you get the hang of it and you will go on to grow more. To better save on indoor grow lights, make use of your south-facing window. Take this small NFT hydroponic system if you are a beginner. This is an amazing garden which takes care of itself. It is possible with the drip watering system. This way you can go away for a few days without worrying about how your plants are doing. This hydroponics with LED light technology is perfect if you wish to grow microgreens fast. With how expensive microgreens are, you’re better off growing them your own. Walk yourself through this step-by-step guide to building your own hydroponics system. All you need is a Home Depot plastic box and a hydroponic systems kit and you’re good to go! The Kratky hydroponics is one of the simplest methods in the hydroponic system. You simply grow plants using a small basket with your choice of medium. You then suspend the basket or medium in water with the nutrients. The Ancient Aztec is said to have been the pioneers of the hydroponics system. This raft method, in particular, was the system they employed. We are now getting to the more advanced part. If you want to grow more veggies indoors all-year-round, you’ll take great interest in this hydroponics drip system. Both man and animal food can be produced in a hydroponics system. 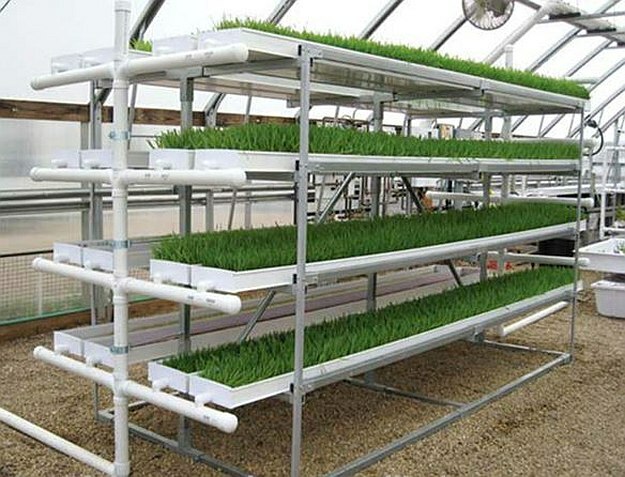 For large scale animal farming, you can cut cost by growing fodder in hydroponics. Even IKEA has released their own indoor vegetable garden kit in their indoor gardening products, and it’s lovely. Growing indoors has never been this exciting. For this simple hydroponic system, use clay pellets and 1-gallon root square maker. You can always add a few more pots as you progress in this gardening method. Hydroponic systems are lifesavers for those who are at odds with conventional gardening. You can now grow plants and crops in small spaces and in places with a bad soil. We hope you find this roundup helpful in learning the basics of hydroponic gardening. We would love to hear your favorite among these awesome hydroponic systems! Which hydroponic system are you going to try? Share your thoughts about it in the comments section below! Editor’s Note – This post was originally published on July 8, 2016, and has been updated for quality and relevancy. A lot of great hydroponic system ideas gathered here! If you’re not that handy, you may find interesting this article – placecallhome.com/best-hydroponic-systems/ It’s an in-depth review of market ready hydroponic systems.